Last summer in Freiburg, 19 projects received monies from the $100,000 Project Fund. Some of them are now reporting back (the schedule is different fo each project), as we have been posting here. 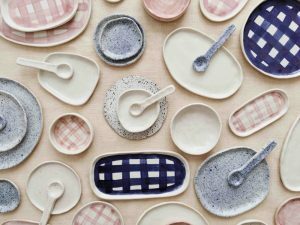 "My ceramics business, RARA Studio, is going extremely well! I have got the kiln and it's already saving a huge amount of time and money!" Aliça goes on to explain that, due to restrictions in the power supply to her studio, she had to go for a smaller kiln than originally intended; but the plus side was that it meant she had enough funds to purchase both a kiln and a slab roller. "The two pieces of equipment have already helped increase production and flexibility." Aliça ends by saying that her enterprise is now ready to start contributing to Subud!